However the fairly recent DfT proposal to transfer the Greenford shuttles to Chiltern was eventually abandoned, they withdrew it because on investigation it was no easier for Chiltern to operate it. The latest NR proposals in the route study are for Chiltern to run services to new platforms at Old Oak Common. Reported on Twitter that there around 200 on Friday’s final run from Paddington. Indeed. Ran into / out of platform 1 at Paddington. 3 car train, extra stops on the way out. End of an era - the former main line from Paddington to Birmingham and Birkenhead. Lots on Facebook too. The 1010 was presumably a Blue Pullman at this point, because the LNW line was in the throes of electrification. I'm not sure why it doesn't still go into Paddington? 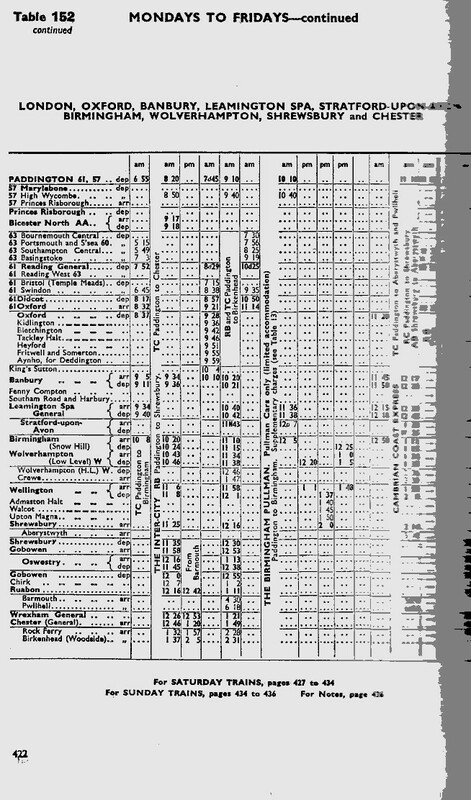 Was handy in keeping route knowledge up for diversions when Marylebone was closed in that regard. Since December 6th Chiltern have had four more round trips from South Ruislip to West Ealing booked as STP, two earlier ones and two later but finishing by 14:00. Some of those have run on most days, but the later ones have usually been cancelled. Training their pool of drivers on this new routing looks like the most likely reason for it. It's hard to say how long they will continue, as STP changes are only booked week by week. At least it's making use of the new permissive bay platform at West Ealing with its capacity for 4-car trains. Mind you, that's even further for people to walk if their Greenford train is at the far end of the platform. No wonder usage is way down!